The Organized Guy, Inc. is a residential and commercial organizing company whose mission is to provide simple, easy and functional solutions tailored to fit within the client’s home or office environment. Their goal is to understand our client’s needs, design solutions and deliver results that exceed expectations. They accomplish their goal through a simple, three step process that starts with a FREE consultation to assess the project, followed by creating a plan, which is then executed upon approval by the client. All tasks are targeted to provide clients with elimination of clutter, optimization of space, reduction of stress and improvement within the home or office. 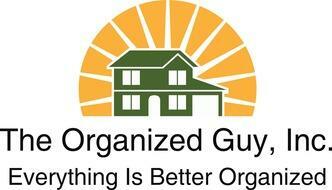 Visit www.theorganizedguy.biz for their full range of services and rates.